Sailing should have been a part of the first Olympic Games in Athens but the facilities off Piraeus weren’t ready. In the second Games in 1900 the racing took place at two venues in France, Paris and Le Harvre. The Paris location proved so fluky that in one race just 5 of the 45 boats finished with two disqualified for illegal propulsion. 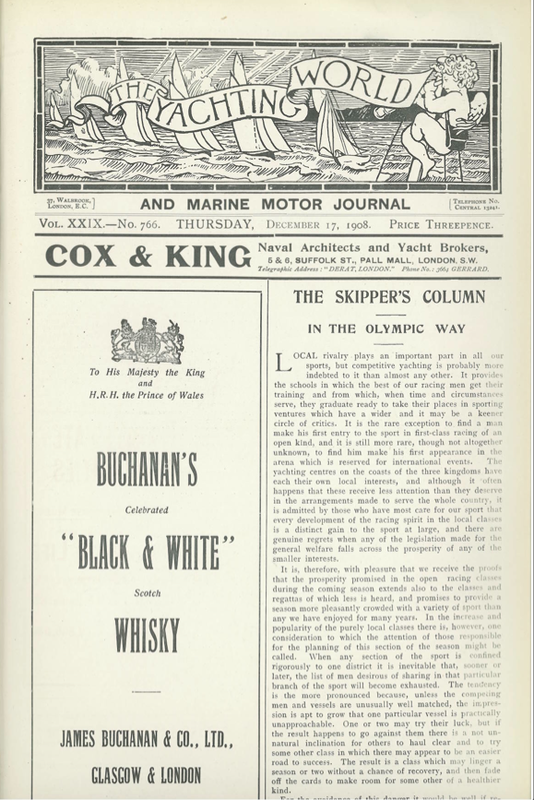 When the Games came to the UK in 1908 the sailing was due to take place in the Solent but there were no takers for the 15metre class and only two for the 12metres. With both of these boats in the latter class residing in Scotland, this part of the Games was moved up north with medals assured. So while debates continue to run today as to whether kites should be in or out of the next games and which classes should be replaced, it would seem that running the Olympics has never been easy. 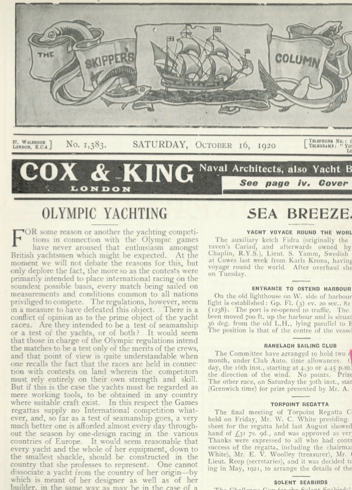 Yachting World has covered every Olympics since the first in 1900. 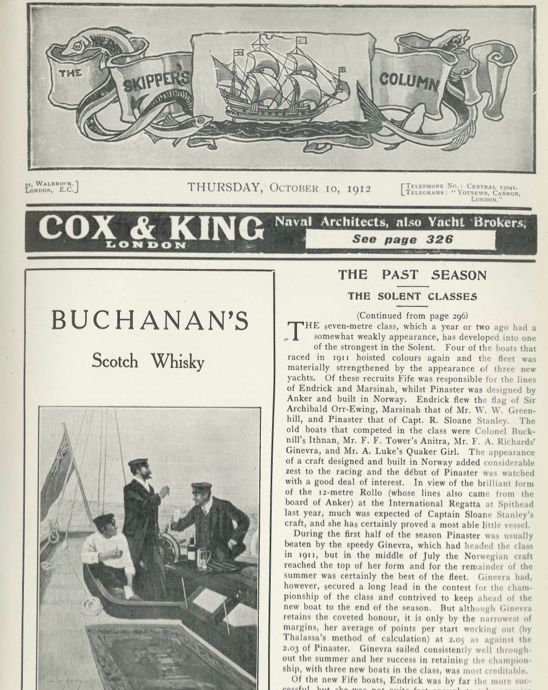 As part of our build up to the 2012 Games we delve into our archives to take a look back at how the magazine reported some of the key events in the history of the sailing Olympics. 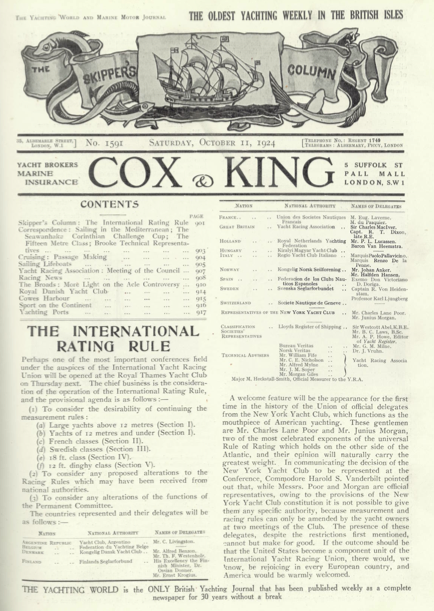 From cash prizes, to calls for one designs, the topics of 100 years ago were strikingly similar to those of today, proving as ever that there is little that hasn’t already been discussed, debated and disputed. Here are some of the topics that were being discussed in the early years of the Olympics along with some ads of the era. Our exclusive mini series, only available online, draws on Yachting World’s extensive archive of original reports and makes compulsive reading. Simply click on the links to download our pdf scans of the original YW features. Hot Topic of the day – Could One Design provide fairer racing? What should the sailing Olympics be? Plenty of debate as the Olympic fleet struggles to grow. Just six nations and only one boat from Britain. Plus, Cowes is finally to get a breakwater. 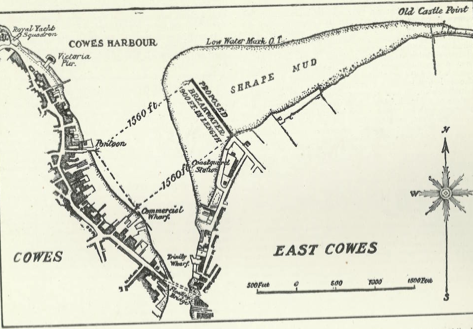 Interesting given the recent news that in 2012 Cowes’ breakwater is once again in the news. Plus, how to remember your horns.